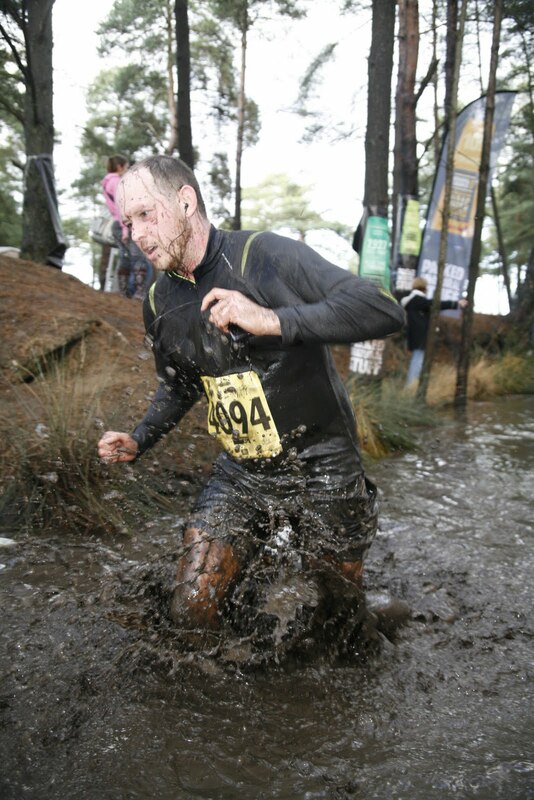 Yesterday Andy ran in the Hell Run (http://www.hellrunner.co.uk/index.htm) at Longmoor Camp in Hampshire. He really did great! 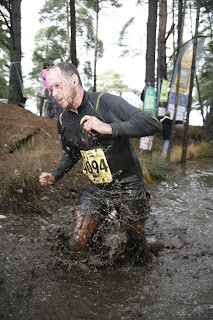 The race was about 11 miles through a military camp on trails through rivers, bogs, sand dunes, and all kids of other stuff. (If you watch the video on the website you get an idea.) He finished in just under 2 hours and got up today without any trouble (we did use quite a bit of hydrogen peroxide on all his knee scrapes last night). He has been running more the last few months doing some 5K and 10K races, but this one was quite a bit longer and much more rough. It all started with some friends at work getting him to sign up with them because they thought it looked "fun". In the end, the two friends weren't well and had to back out - so Andy did it alone, with his little fan club watching. Way to go!! Before the race - so nice and clean! Yes, that is mud all over his head, his socks were white, and that isn't just sweat. Video of the Bog of Doom - he is just about to drop in (sorry about my screaming).